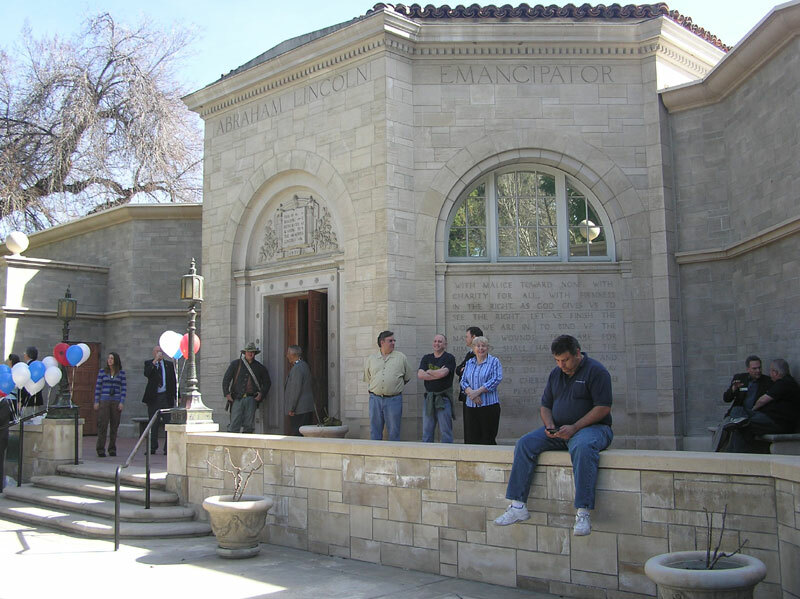 Today, Sunday February 6, 2011, we went the Lincoln Memorial Shrine Open House, here in Redlands. 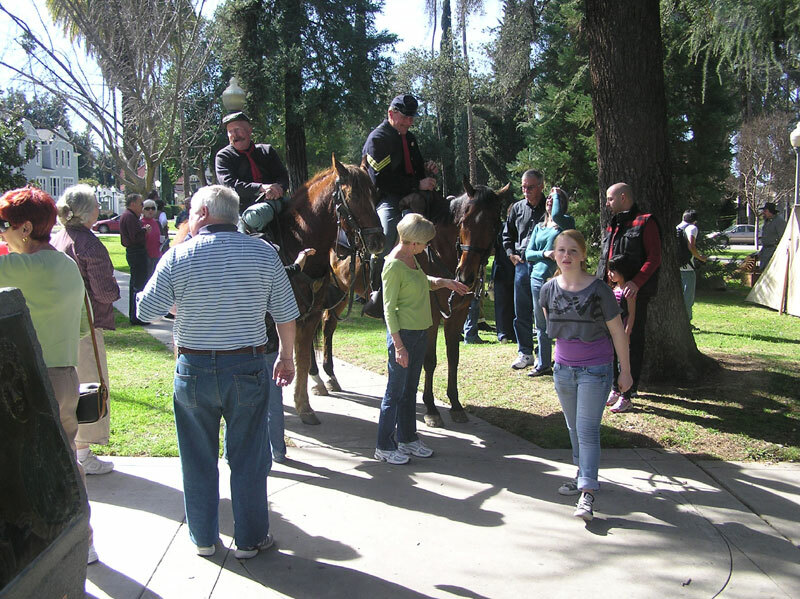 Yesterday, the 72nd annual Lincoln Pilgrimage was held to honor our 16th President. 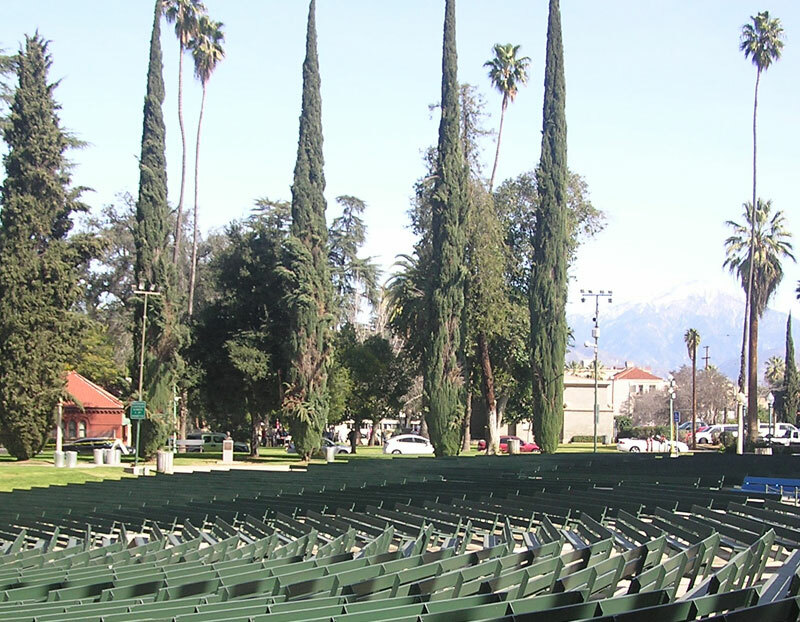 The "Pilgrimage" is a parade through downtown Redlands ending at the Redlands Bowl. More than 1,000 kids were part of the Pilgrimage this year. 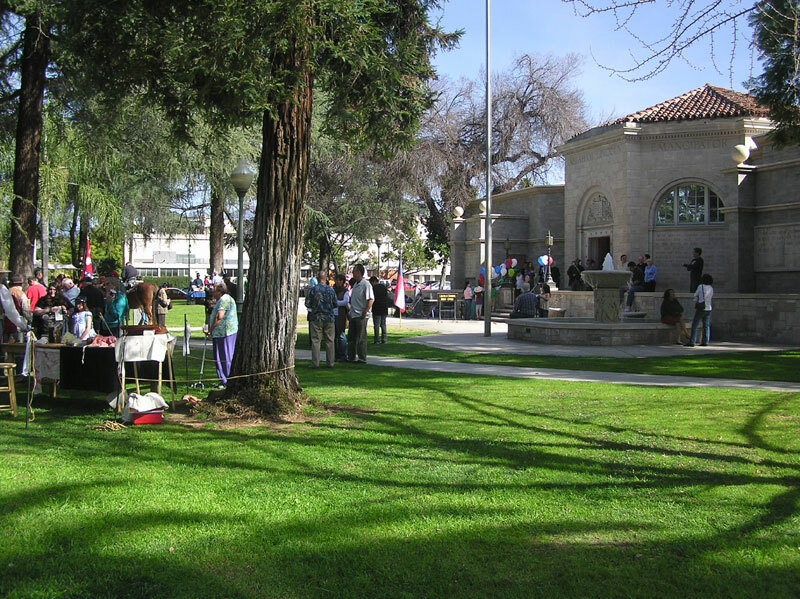 The Shrine is in the center of the picture, the A. K. Smiley Public Library to the left and Mount San Gorgonio is to the right. The Bowl is in the foreground. This year's theme was "And The War Came," honoring the sesquicentennial (150 years) of the beginning of the American Civil War. 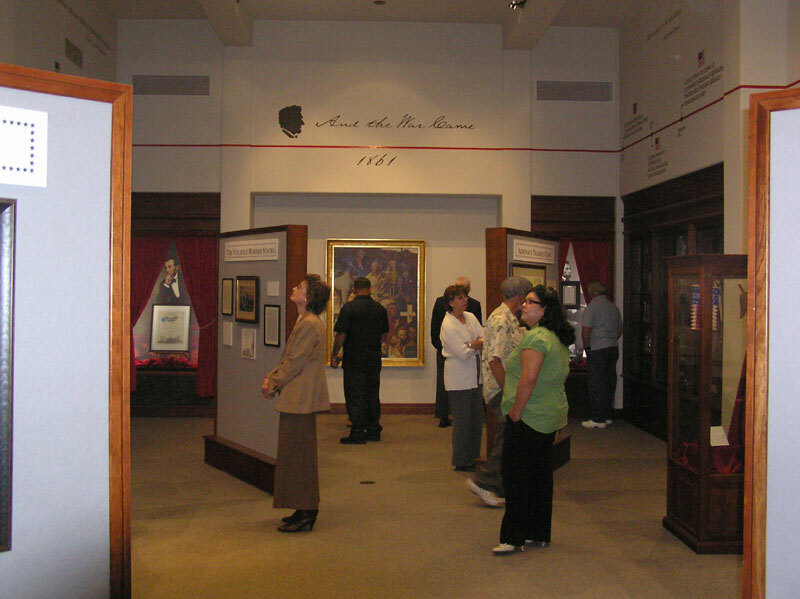 This new exhibit at the Shrine features manuscripts, artwork and artifacts that examine the causes of the war. 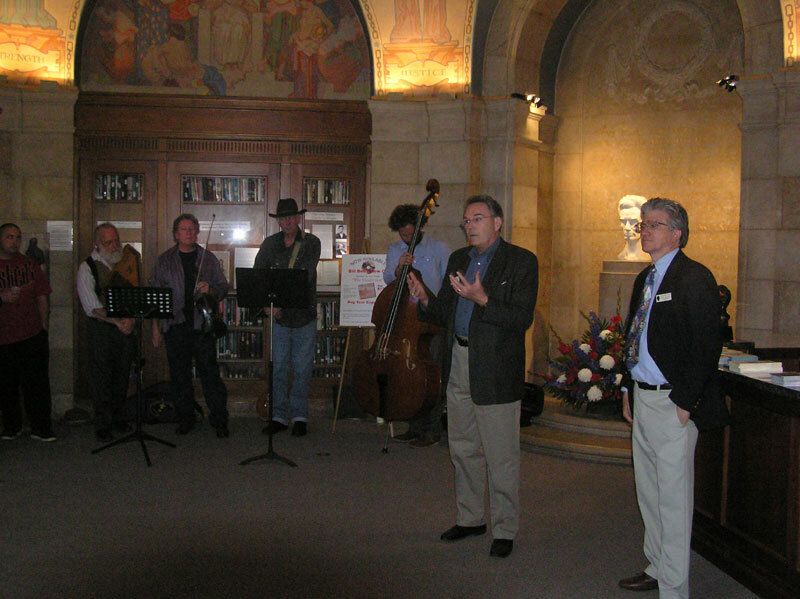 Below Larry Burgess, historian and director of the A. K. Smiley Public Library, speaks as Don McCue, the Shrine's Curator looks on. 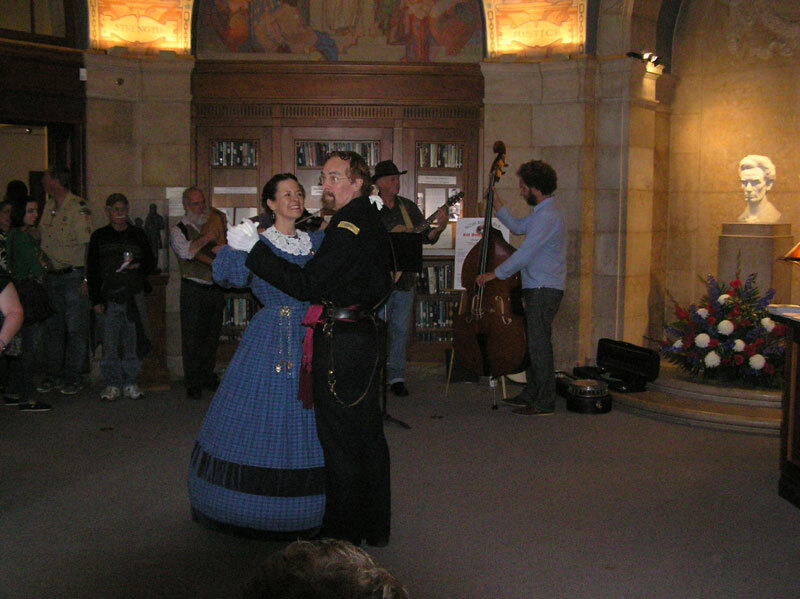 In the background a local quartet plays music from the Civil War Era. 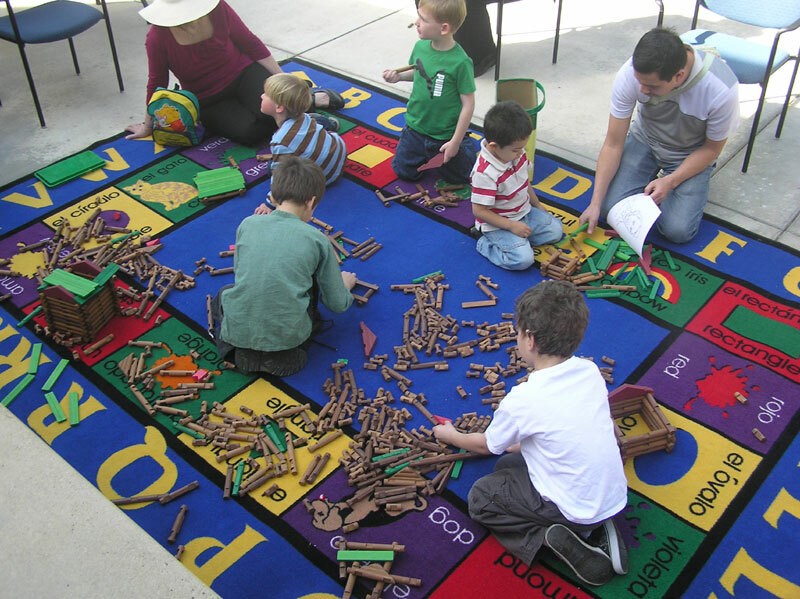 The kids get to play with, what else, Lincoln Logs! 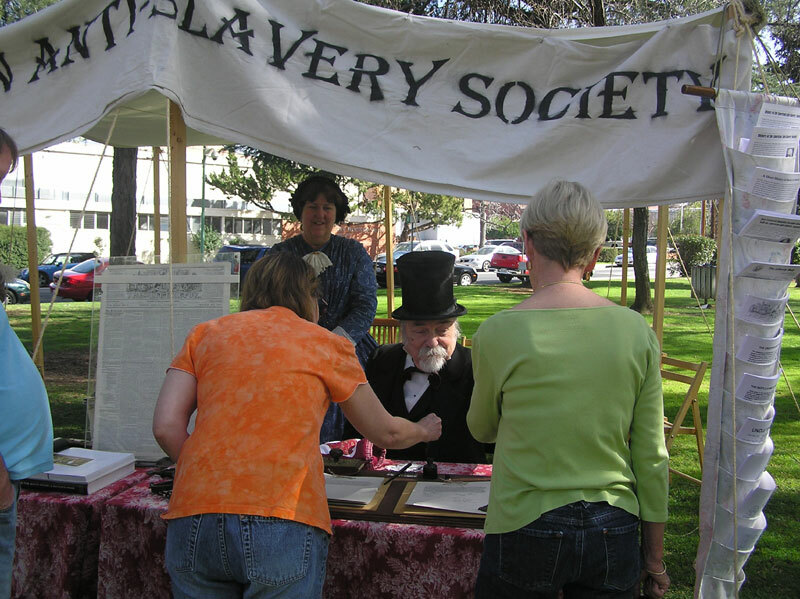 Judy and I both signed a petition seeking to abolish slavery. And Judy gets to make friends with a very docile and pretty horse.